Mafia is a third-person shooter video game released for Microsoft Windows in August 2002. The game allows the player to take on the role of Tommy Angelo, a mafioso who has to accomplish various missions in order to advance in the game. 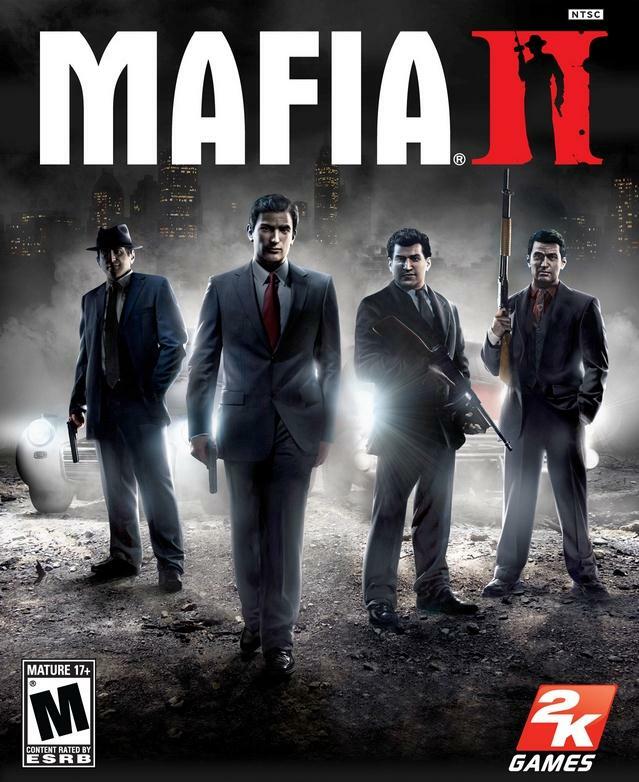 The above is the box art for Mafia II released in August 2010, and the font used for the game logo on the cover is Aurora Bold Condensed, which is narrow sans serif with large X-height, originated from Germany. The Aurora font identified above is not available for free, please follow the link above and purchase the font. Meanwhile, you can take a look at our collection of fonts for cars, pop music and apparel as well as round-ups of new & fresh fonts around the web. In addition to Mafia (video game), Aurora typeface is also used in the following logos, movie posters or album covers etc., including: Once Upon a Time in America, Backbreaker (video game), Britain’s Got Talent, Discovery Kids.